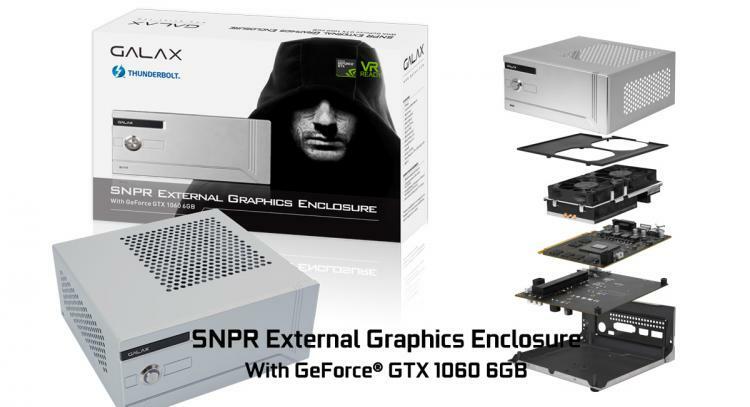 GALAX and KFA2 partners with SilverStone Technology to create the SNPR External Graphics Enclosure with a custom GeForce GTX 1060 6G graphics card. The enclosure is a metallic casing with Honeycomb ventilation holes to provide cooling and aesthetics. It comes with a stylish silver colour and matching aluminium LED switch. With the SNPR External Graphics Enclosure with GeForce GTX 1060, you can transform any notebook or ultrabook into a powerful gaming machine. 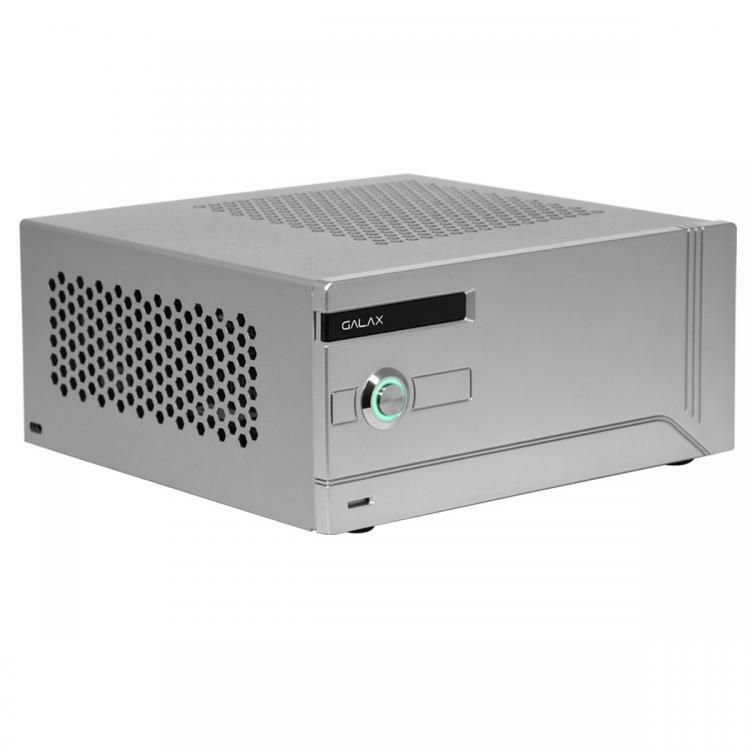 The SNPR External Graphics Enclosure with GeForce GTX 1060 uses high-performance cooling fans on the custom GeForce GTX 1060 graphics card with a 3-heatpipe heatsink module and a fan duct to concentrate cooling to the graphics card and blow hot air out through the side ventilation holes. 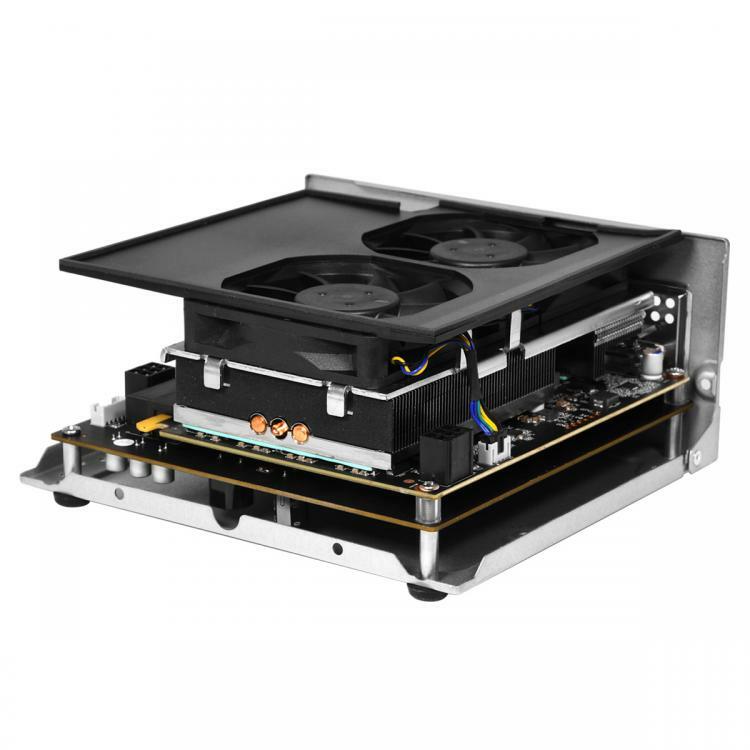 The enclosure is just a 165 x 156.5 x 73mm chassis requiring a very compact graphics card. 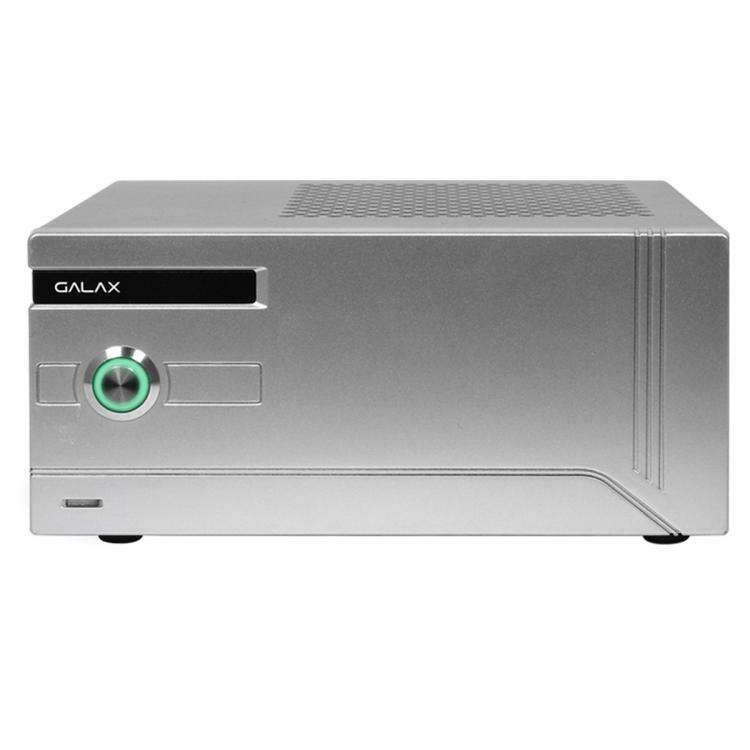 With this, GALAX/KFA2 designed a GeForce GTX 1060 that’s even smaller than a mini-ITX graphics card with the custom GTX 1060 measuring only at 145 x 110mm. The enclosure uses ultra-speed connectivity of Thunderbolt 3 which supports PCIe 3.0x4 offering transfer speeds of up to 40Gbps. 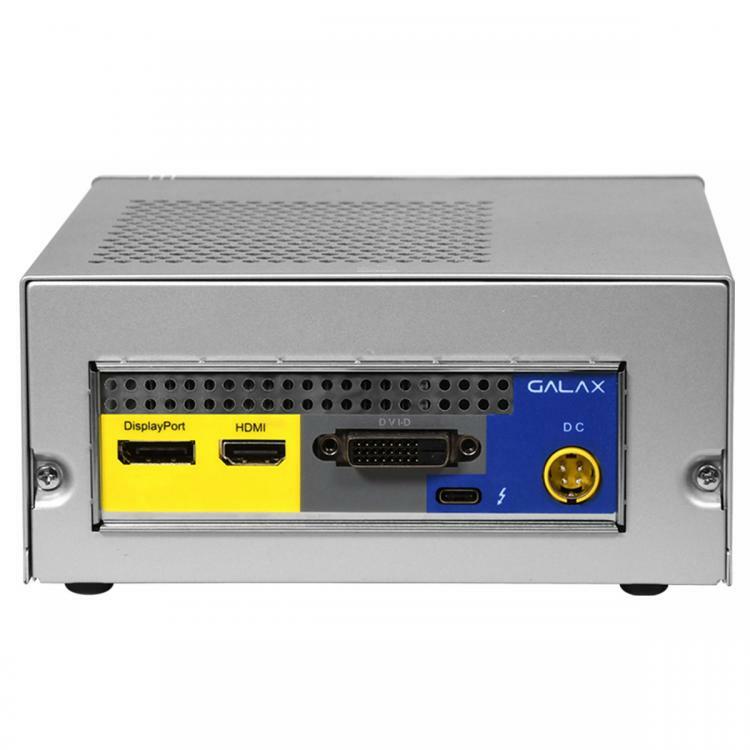 For display output, the enclosure supports DVI-D, HDMI 2.0B and DisplayPort 1.4 which supports a maximum of three displays.